Congratulations to the Hawksmoor Fund Managers Team! Our Distribution Fund triumphed over a very strong shortlist to be crowned winner in the Managed Balanced category, at the prestigious Investment Week Fund Manager of the Year Awards in London. 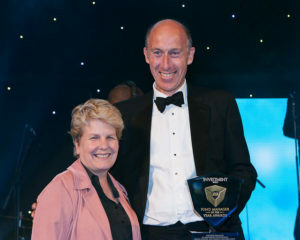 Max Weatherby, Senior Investment Manager and Head of the London Office, attended the glittering event and accepted the award from Sandi Toksvig. For details of other category winners, see the Fund Manager of the Year Awards website.